I haven’t been very active in writing the blog for a while. However, as a Feng Shui practitioner, I feel that it is important to address at least some issues relevant to the changes occurring starting February 4, 2018, the end of Yin and start of Yang season in the solar calendar. 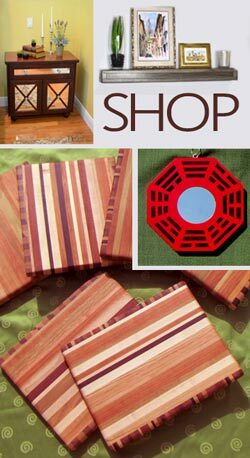 One of the most important Feng Shui locations is the entrance to a home or a business. That is where the Chi, energy or life force enters the premises. The front door needs to be in a good repair and operate smoothly. The entrance, inside and out, needs to be clean, easily accessible and clutter-free to allow and welcome the new energies and opportunities to arrive. In my example, the front entrance is facing North. Starting on February 4, 2017, it was fine to activate and energize the North section (associated with water, career and opportunities) with moving water such as a fountain, images of water, fish, sea beans, shells, dark colored accessories and other items associated with and supporting the water element as shown in the first picture. I had added soft light and Chinese coins for further protection and activation, as well as bells on the door handle. The scenery for this year starting on February 4, 2018, is quite different for the same North direction (and other areas as well, as each compass direction has meaning). This time, the North side of a building is to be kept quiet and not energized. The bubbly fountain, and other water-associated décor items and energizing lights, as well as the bells from the door, are moved to more appropriate locations for the upcoming 12 months. This time, it is important to add metal to dissipate the effects of the challenging star 5, which is located in North this year (2018). It is actually advisable to enter and exit at another location in a building if possible. It could be a back door or side garage door if that is available. There are additional Feng Shui cures that are beneficial in diminishing the possible negative effects of the star 5. 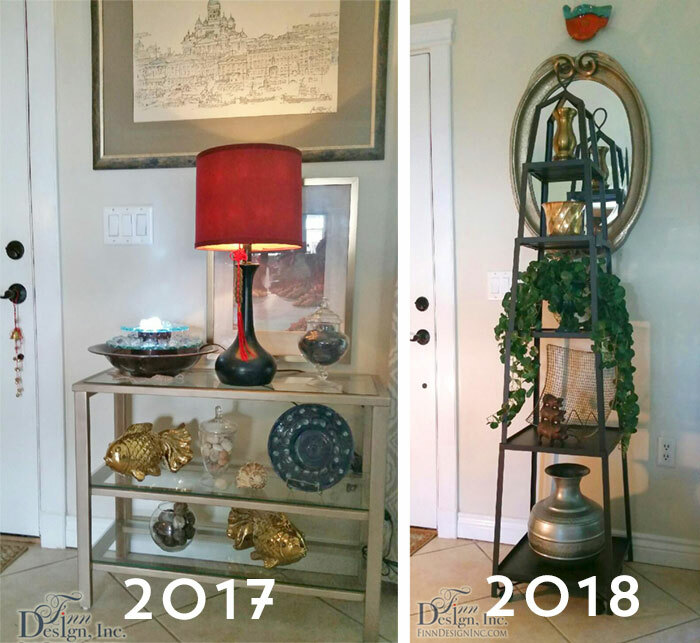 For this year, the entrance in the second picture is furnished with a metal etagere with a display of all-metal accessories. To find out how to use Feng Shui to improve your life, read more about our consultations.